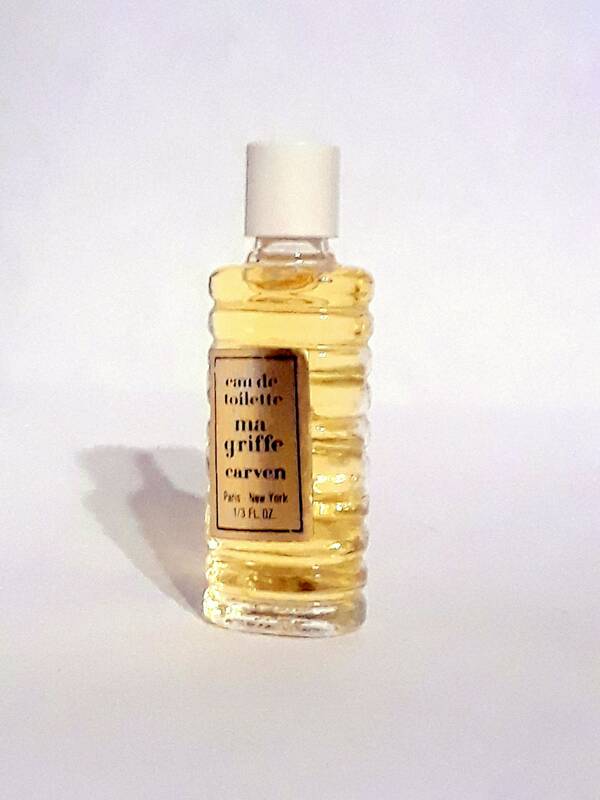 Vintage 1970s Ma Griffe by Carven 1/3 oz Eau de Toilette Miniature Mini Splash. No box. The bottle is 100% full. The top notes have turned but the middle notes and drydown still smell good, lots of oakmoss and vetiver. Ma Griffe by Carven: launched in 1946. Created by Jean Carles. The name means "My Signature" as well as "My Claw" in French. 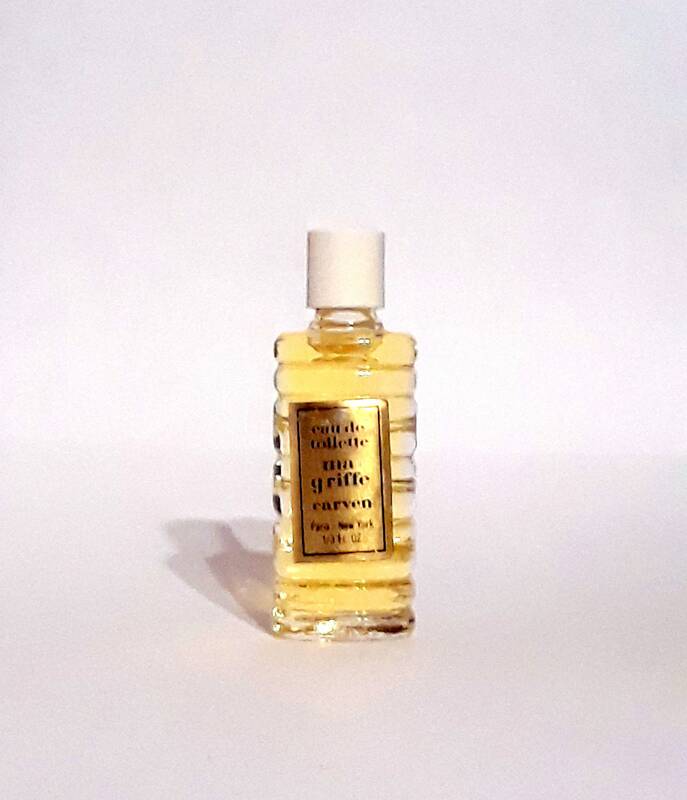 Undoubtedly, a pun on the name, as the late Madame Carven clawed her way to top the design world and left her mark with her revolutionary Ma Griffe perfume. 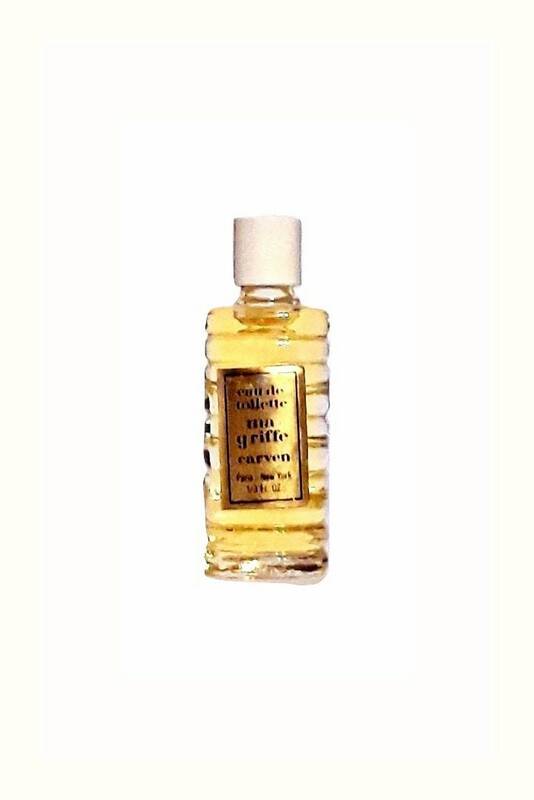 It is classified as a Chypre Floral fragrance for women. Base notes: labdanum, tonka bean, sandalwood, cinnamon, musk, benzoin, oakmoss, vetiver and styrax.